Personal injury law firm Flood Law Group is sponsoring the new website, JanuviaCancerLawsuit.org, an online resource to help individuals in learning about the risks associated with Januvia. Anyone who is diagnosed with pancreatic cancer and who has a history of taking Januvia may qualify for financial compensation. 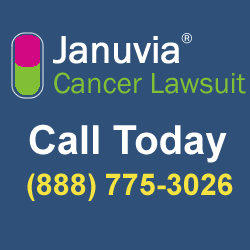 Flood Law Group, a national litigation firm, is sponsoring JanuviaCancerLawsuit.org, an online resource aimed at helping people in learning about the increased risk for pancreatic cancer in people taking the Type 2 diabetes medication Januvia (sitagliptin). According to Flood Law Group, anyone who is diagnosed with pancreatic cancer and who has a history of taking Januvia may qualify for financial compensation. Wolfe also noted in the statement that the FDA received a total of 292 reports of pancreatic tumors in patients taking Januvia, Byetta and/or Victoza between Jan. 1, 2010 and June 30, 2012. According to Wolfe, Public Citizen analyzed the reports and found that in most of the cases, the individuals did not list any other possible risk factors for pancreatic cancer in addition to taking the Type 2 diabetes medications. According to the Flood Law Group, it is sponsoring JanuviaCancerLawsuit.org to help spread awareness about the risk of pancreatic cancer. If you or someone you love has been diagnosed with pancreatic cancer and has a history of Januvia use, you may qualify for financial compensation. To learn more or to schedule a consultation with a defective drug lawyer at Flood Law Group, call 1-888- 775-3026 or visit JanuviaCancerLawsuit.org.